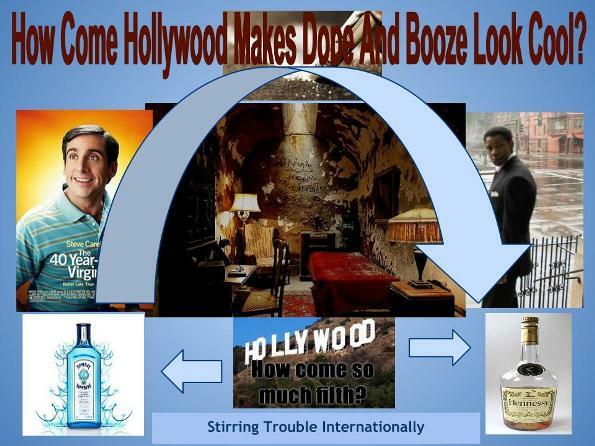 Stirring Trouble Internationally: How Come Hollywood Makes Dope And Booze And Other S..t Look Cool? How Come Hollywood Makes Dope And Booze And Other S..t Look Cool? Dan Majestic writes from Los Angeles: Have you ever wondered how is it that Hollywood makes dope look cool? And by ‘Hollywood’ I mean the movie industry generally, obviously, so don’t get smug about it, you European film makers. Find out more by going over to Stirring Trouble Internationally. The plots are non-existent, the blood flows like a mighty river and the realism of all that gore is lovingly kept to the highest standard.